Early bird registration for WSRO members. NOW Available through Friday, Sept. 9, 2016. 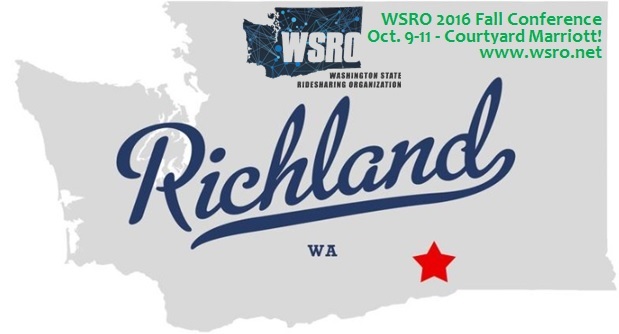 Join us Oct 9-11 in Richland, Wash., for the 2016 WSRO Fall Conference! Group rate for Washington State Ridesharing Organization (WSRO) - you may also call the hotel direct at 509.942.9400 and refer to the $96 group rate/WSRG for the WSRO conference by Sept. 9 cut-off date.